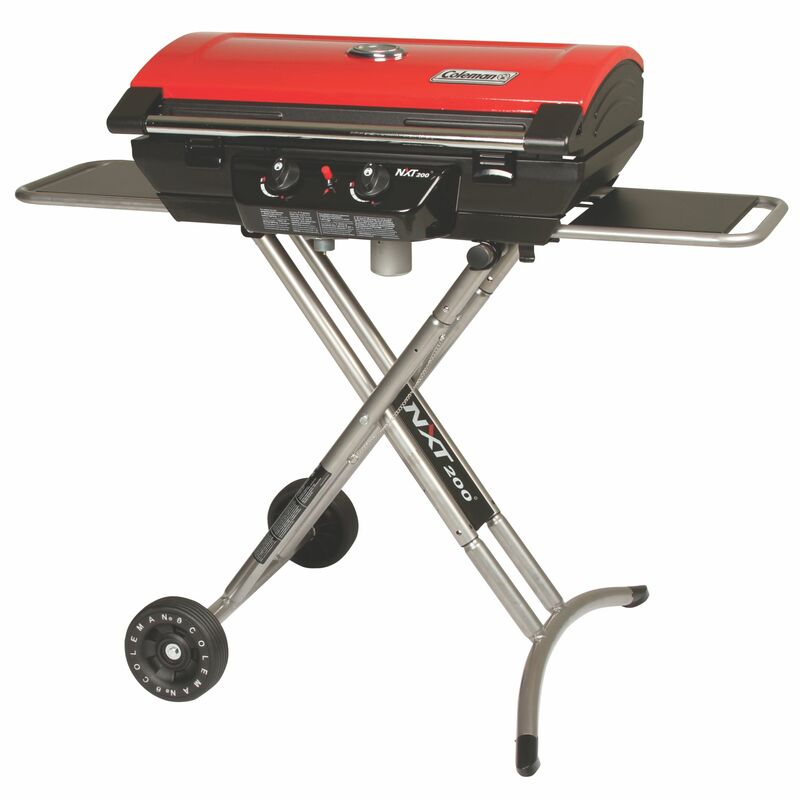 Add some intense heat to your backyard BBQ that stores compactly out of the way with a Coleman® NXT™ 200 Propane Grill. 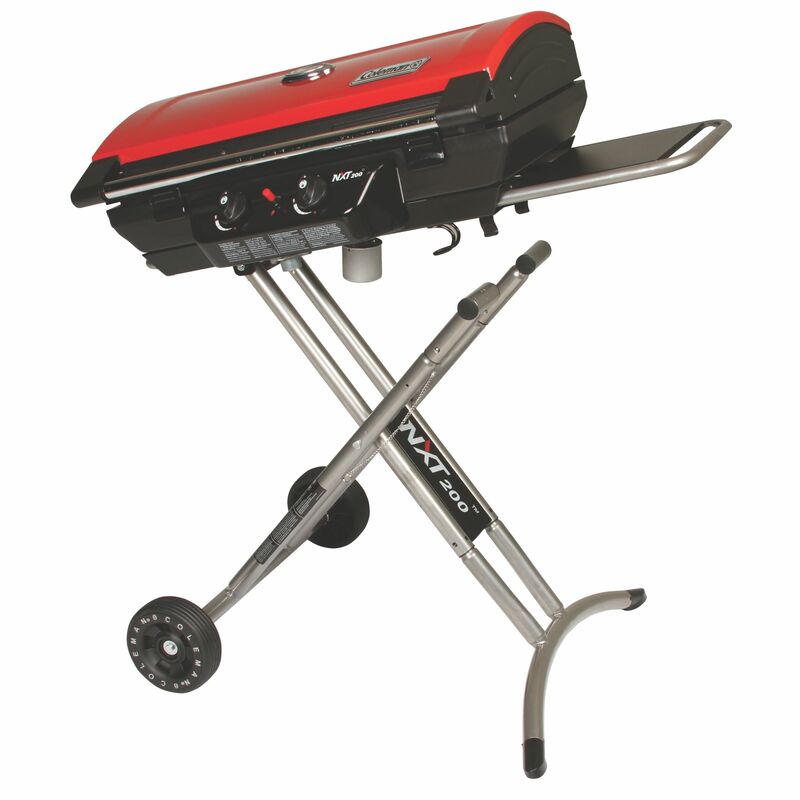 After you’ve grilled up the perfect meal over 20,000 BTUs of power, this grill folds up for low-profile, standup storage in tight spaces, opening up more room on your patio. Under the tall lid, 339 sq. in. of porcelain-coated, cast iron grills are waiting for anything you can throw at them. 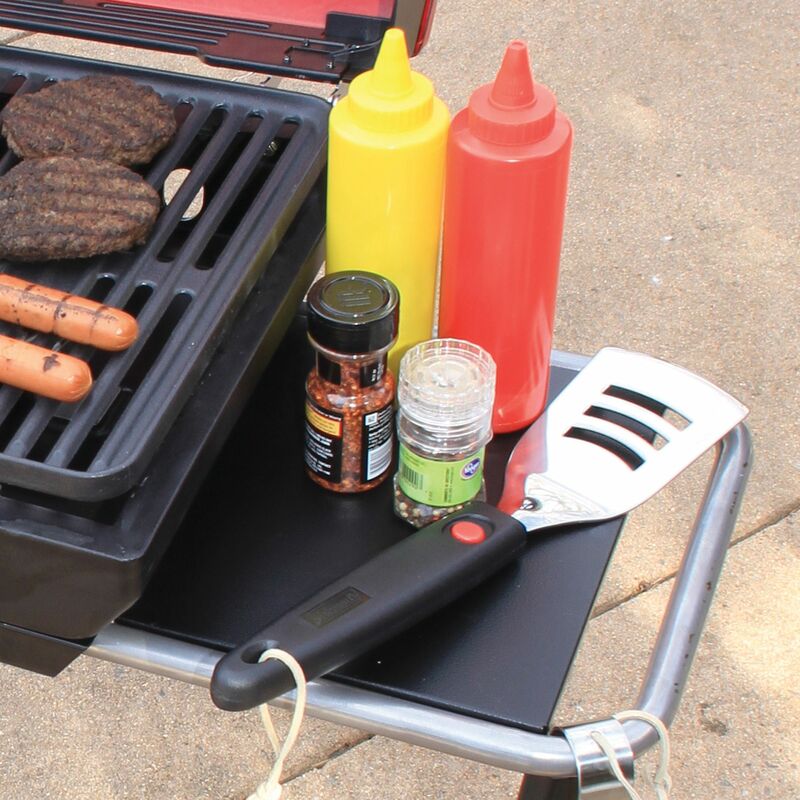 If you’re looking for more meal options, the Swaptop™ interchangeable cooktops let you change out one of the grill grates with a griddle or stove grate (both sold separately). 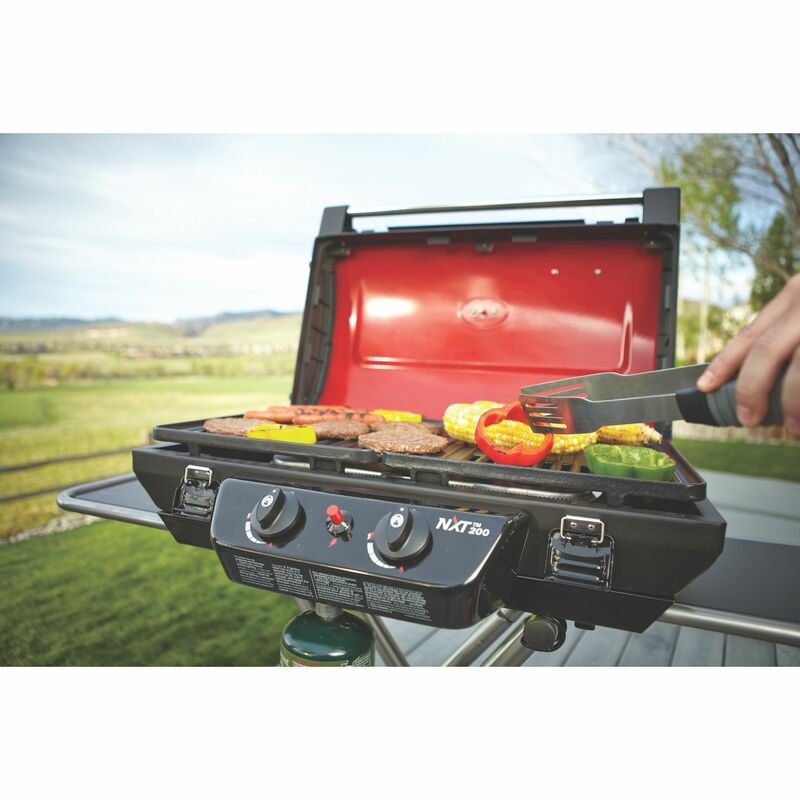 Just hit the Instastart™ push-button ignition and dial in your temperature over the two independently adjustable Even-Temp™ burners, which deliver heat consistently across the grill surface. 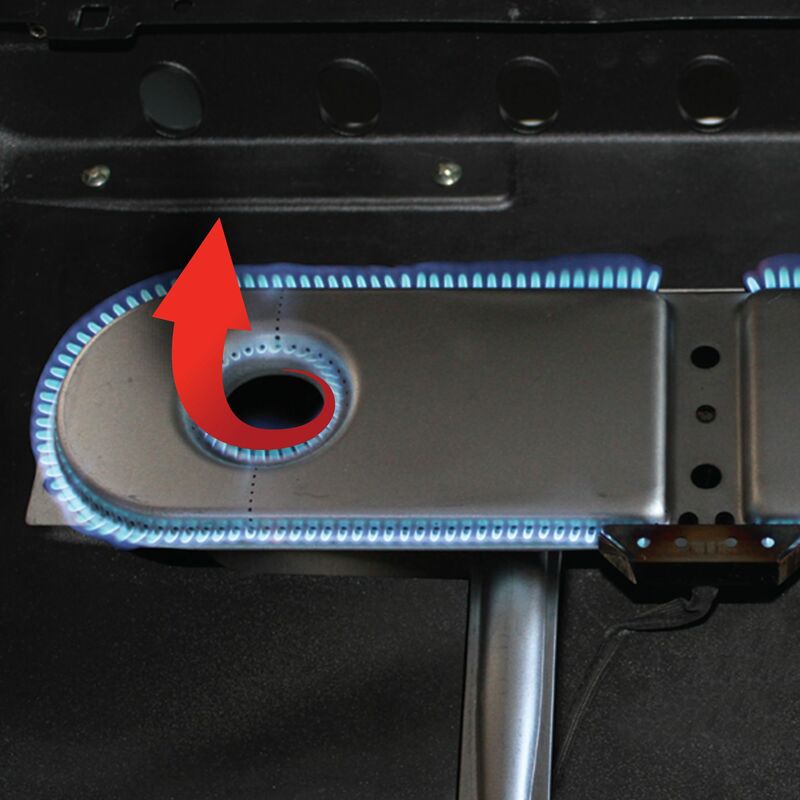 The heat core technology on the burners also directs the heat upward for easier stovetop cooking. 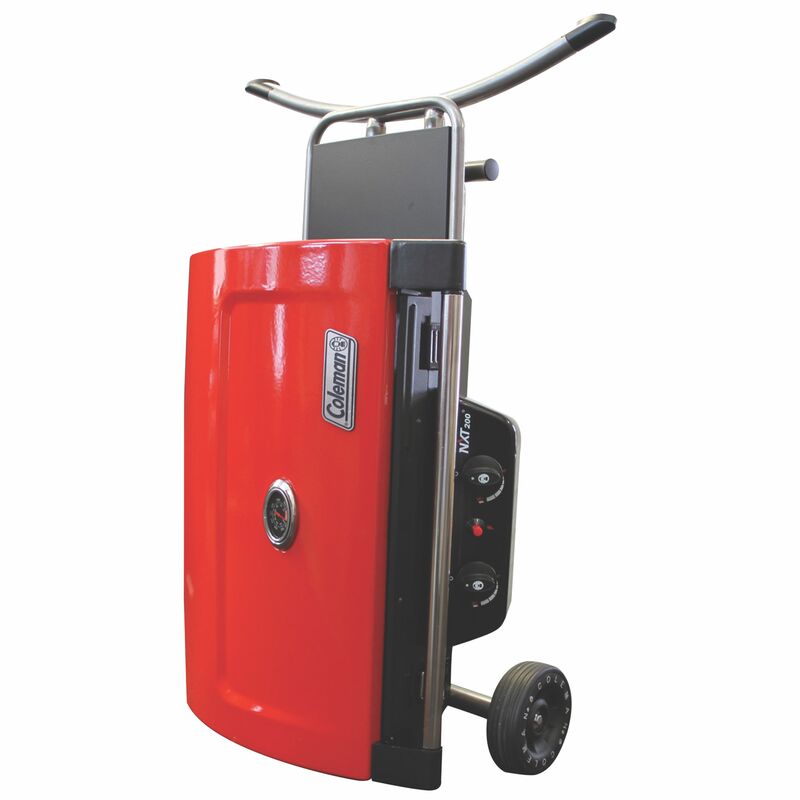 The dual steel side tables can hold your tools and ingredients while you grill up a BBQ masterpiece. 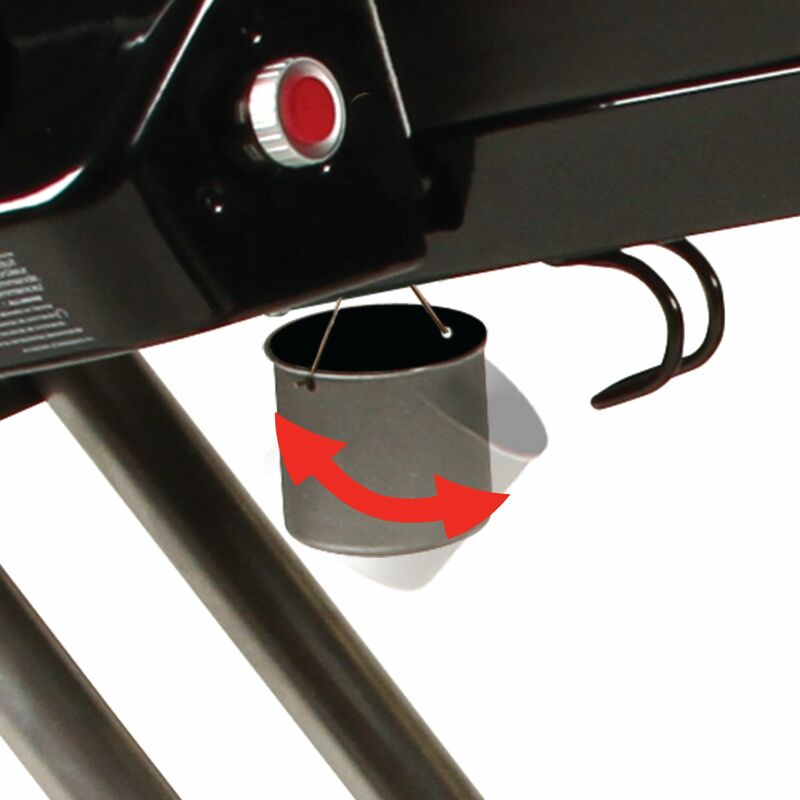 When it’s time to fold up and store your grill, the swivel design of the no-spill grease cup helps prevent messes and the wheels make it easy to move out of the way, until your next summer cookout.